Each year hundreds of ILR Alumni and friends gather together to celebrate the School and to honor our Groat and Alpern Award winners. The Groat & Alpern Celebration is the ILR alumni event of the year. We look forward to seeing you at our next Celebration. Pamela O. Kimmet '80 is senior vice president of human resources at Coca-Cola Enterprises, Inc. She previously served as senior managing director and head of global human resources of Bear, Stearns & Co. Inc.
Before that, Kimmet was senior vice president of human resources of Alcatel-Lucent USA, Inc., held leadership positions at Citigroup in its compensation and benefits department and worked at General Motors. 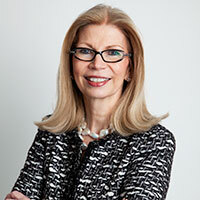 She has been chairman of the board for the National Business Group on Health since 2009, and a director since 2004. Kimmet serves on the advisory board for ILR’s Center for Advanced Human Resource Studies and on the ILR Advisory Council. A member of the Personnel Roundtable and the Conference Board’s Executive Compensation Council, Kimmet earned an MBA from Michigan State University. K. Lisa Yang '74 is a former investment banker who now devotes her time to a number of charitable causes, including the Devereux Foundation, and serves as a voice for people with physical and mental disabilities. After graduating from ILR, she completed an MBA at Columbia University. 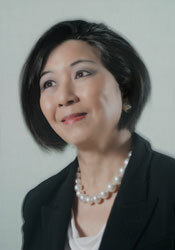 Her work in the financial services industry included positions at Lehman Brothers and First Boston. Yang has established scholarships for undergraduate international students at Cornell and her support of ILR’s Employment & Disability Institute has enabled the institute to expand involvement of Cornell student s in disability studies education. Yang has also been instrumental in broadening the institute’s involvement in cross-college collaborations. She is a member of the ILR School Advisory Council and has served on the Cornell University Council.